Despite a history of abject opposition to one another on a host of international issues, the Arab Gulf states and Russia have recently begun cooperating with one another in the energy domain. Russian Foreign Minister Sergei Lavrov’s Arabian Peninsula tour this month indicates that Moscow seeks to cement its status as a rising power in the Middle East following its intervention in Syria, a conflict that seems to be gradually winding down. 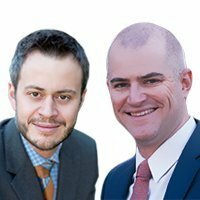 When considered alongside a global market that enjoys an abundance of oil and gas, the incentive for greater degrees of cooperation between energy producers would appear self-evident, especially as the political power once universally associated with large reserves of oil and gas is being redefined and significantly reduced. 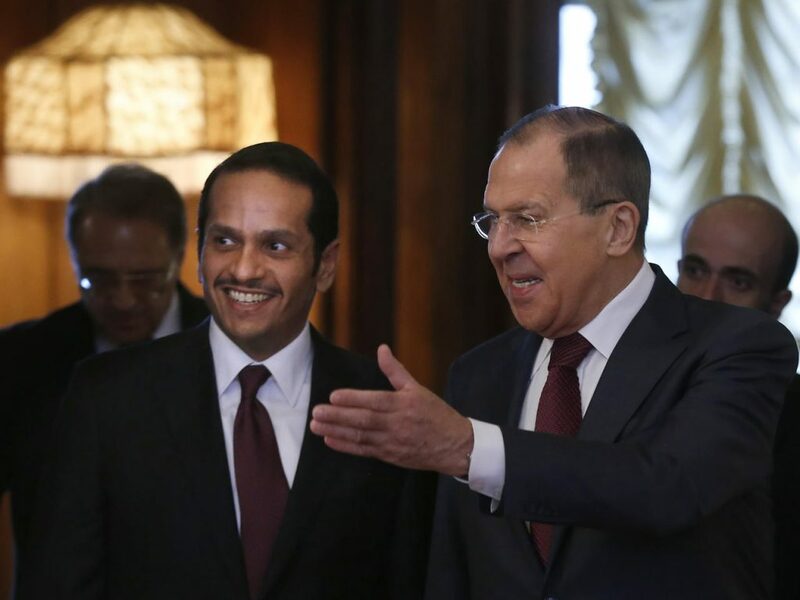 Lavrov’s visit was intended to build a relationship with the Gulf Cooperation Council (GCC) member-states that Russia hopes will preserve the power and value of its energy reserves. Still, there are many obstacles to achieving ironclad agreements on energy cooperation with the Gulf. The most prominent example of this strategy, commonly referred to as OPEC+, has emerged primarily as a result of agreements between Moscow and Riyadh with respect to crude output levels. The Middle East has always been a region in which actors who are traditional rivals eventually find themselves making common cause with one another, and Russia’s expanding involvement has not exempted Moscow from this dynamic. An oversupplied global market means that as producers, Saudi and Russian interests appear to align, at least for the moment. Oil prices are a critical factor in both countries’ economic health, to say nothing of the degree to which oil revenues contribute to the budgets of both governments. Underlying this dynamic are Saudi Arabia’s fears concerning the regional ambitions of its Gulf rival Iran. Russia in turn cannot completely depend on Tehran to serve Moscow’s regional agenda, especially considering Iranian government infighting and the crushing weight of economic sanctions reimposed by the United States. On the surface, Russian-Saudi cooperation appears to have little downside for either party. However, each country’s status as a major producer also means that Saudi and Russian crude exports will be in competition for global market share. This is a critical complication to a relationship that is, for now, based heavily on sharing the burden of production cuts in an attempt to stabilize prices. Indeed, these quotas have been a strong point of contention for Riyadh, which has repeatedly expressed its unwillingness to continue shouldering the burden of steep production decreases which have cost it market share in the past. Saudi Aramco’s new drive to develop its downstream operations throughout Asia and develop a 10 million bpd day refining capacity could renew Saudi resistance to bearing such a substantial share of responsibility for clearing the market of excess supply. The Kingdom has already indicated its intentions to maintain consistent output from March into April. This aspect of Saudi-Russian cooperation will be more likely than any other to determine the future of the relationship. In the near-term, prospects for continued cooperation appear positive. 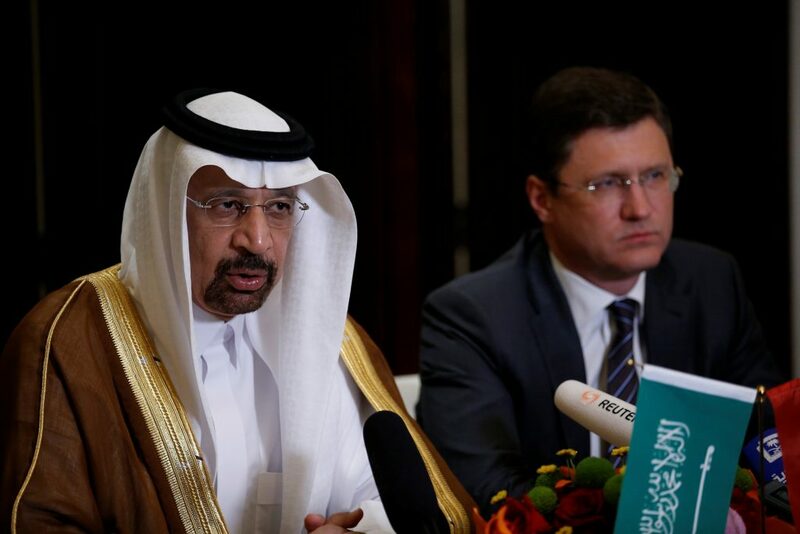 At an OPEC+ summit recently held in Azerbaijan, Saudi Energy Minister Khalid Al-Falih announced further production cuts until at least June and the cancellation of a meeting scheduled for April to revisit current quotas. Russian Energy Minister Alexander Novak also stated that Russia was nearing full compliance to its output commitments, signaling that Moscow and Riyadh are still very much of one mind when it comes to clearing supply from the global market. Looking ahead, Moscow will be eager to consider what leverage it may have over Riyadh in its ability to preserve the cooperative relationship formed through OPEC+. This leverage may take a variety of shapes. Russia is keenly aware of Saudi Arabia’s urgent need to diversify its energy mix, which has long been supported by expensive subsidies that have generated an unsustainable level of energy intensity for the Arab world’s largest economy. A possible source of relief for this chronic problem would be the creation of a civilian nuclear program, a project for which the Kingdom has recently expressed a renewed degree of interest. During Lavrov’s recent trip to Riyadh, he expressed a desire to provide some level of assistance in developing a nuclear energy program in Saudi Arabia. Should this initiative bear fruit, it will serve the dual Russian purpose of gaining some economic leverage over the kingdom, especially if OPEC+ stands the test of time. Additionally, capitalizing on an initiative that has added further strain to Riyadh’s complicated relationship with Washington will be another bonus for Russia against a backdrop of perceived US disengagement from the region. Russia may also use its relationship with Qatar as an additional means of leverage over Saudi Arabia, and as a strategy to challenge America’s status as the predominant supplier of defense technology to the Gulf states. During Lavrov’s visit to Doha (which notably came before his stop in Riyadh) the two parties renewed discussion of Qatar’s prospective purchase of the Russian S-400 missile system; an agenda item that has been a thorn in the side of both Saudi and American officials since the talks began in 2017. The S-400 deal is also indicative of Russia’s desire to broaden its established ties with Qatar. The Qataris may want to be careful in their usage of strong comments about the S-400 system even if Doha is bluffing on the issue. Last year during a military parade, Doha broadcast that it possessed a Chinese SY-300 system, showing that Qatar could not only defend itself with a robust weapons platform, but also to send a message to Riyadh and Abu Dhabi that enough was enough. Still, given that the SY-300 lacks the capability to strike any territory other than that of Qatar’s neighbors, the move instead may have further ignited tensions. As natural gas constitutes an ever-increasing share of the global energy mix (and Qatar is one of its largest exporters) Russia will doubtlessly seek to defend the substantial European market share it has worked to develop since the Soviet era. For now, the nature of the European gas market has rendered Qatar unwilling to encroach on what Russia views as its territory in Europe. Qatar’s unwillingness is based on commercial factors rather than political will. LNG imported by ship is more costly than Russian pipeline gas, and the Asian market offers a premium for Qatari exports. Nevertheless, if any such move makes political or economic sense, it is possible that Qatari investors may find energy assets in this particular market, such as that of Cyprus. Continuous gas discoveries in the Eastern Mediterranean may present opportunities for investment that Qatar will be unwilling to forego in the name of placating Moscow. Yet if Russia is worried that Doha’s close relationship with Washington may precipitate change in this dynamic, such concerns on Moscow’s part would be justified. Qatar has sought to expand its investment in the US natural gas sector, increasing the proportion of its revenue that would at least in theory be partially linked to American LNG exports. Further, the potential for US political and economic pressure in response to the Nordstream 2 project pipeline could push some European states to diversify their gas imports, even though Qatar or any other LNG exporters cannot offset Nord Stream 2 in the short- to mid-term perspective. 150 billion cubic meters of spare LNG import capacity within the European Union may present Qatari gas as a viable alternative to European policymakers skeptical of dependence on pipeline gas from Russia, which has historically subjected many of its customers to politically motivated price and supply manipulations. Such an arrangement may also prove attractive to Qatar should its share of the Asian gas market come under threat from emerging local LNG suppliers, most notably Australia. Qatar is already heavily invested in Russian energy. Its sovereign wealth fund, the Qatar Investment Authority (QIA), controls, at least officially, a 19 percent stake in Russian oil firm Rosneft, placing considerable Qatari interest in the success of the Russian energy sector. Should the two states seek to pursue a divide and conquer strategy in the natural gas market, this may be accomplished through the Gas Exporting Countries Forum (GECF), which was created in 2001 to improve communication and practices among its member states. However, the GECF lacks the formal mechanisms for cooperation found within OPEC, and structural differences between the oil industry and the natural gas industry severely complicate efforts to develop the same level of cooperation. Nonetheless, Russian and Qatari reserves could prove a force to be reckoned with, and perhaps even regain some of the geopolitical leverage that has been lost to a newly oversupplied market. Yet the perception that Russia has not held up to its share of the OPEC+ bargain may result in apprehension on Qatar’s part for increased energy cooperation with Russia. Furthermore, Russia’s reputation for using its gas exports as a political tool may also discourage Qatar, which will not want to risk its credibility as a supplier to accommodate Russian geopolitical ambitions in a market that increasingly favors the consumer. In the long term, energy prices remaining low or falling further may force GCC states, especially Saudi Arabia, to cooperate with Russia to ensure that their energy exports secure the capital flows that are vital to long-delayed economic diversification initiatives. Russia’s neutrality in the GCC crisis may benefit Moscow’s policy as it works to deepen its ties in the Middle East after Russia chose sides in Syria, a conflict that divided the region squarely into two camps. As Syria hosts Russia’s only military installation in the region, successful reconstruction of the country will be vital to maintain and possibly expand this presence in the future. Yet Russia does not have the financial means, nor the political will, to bankroll Syria’s reconstruction, which naturally gives Moscow greater reason to cooperate with oil- and gas-rich GCC states. Capital from the Gulf looks likely to play a role in that process, but it will be spent in a manner that serves the primary goals of investor states such as the United Arab Emirates (UAE) whose aspirations (largely pertaining to the ejecting of Iranian and Turkish influence from Syria) still differ considerably from those of Moscow which has worked quite closely with Tehran and Ankara via the Astana Process. Volatility in energy markets may have served as a catalyst for Moscow’s approach to the GCC, but the same forces motivating these policies may also prove to be their undoing if Russia remains a competitor for the GCC in both the political and energy sectors. Looking ahead, the Kremlin and the rulers of the Arabian Peninsula monarchies appear set to continue approaching the other pragmatically. Although the Syrian crisis previously fueled significant tension between Moscow and several GCC states, the shared perceptions of the need to move forward with a political settlement and reconstruction plan in Syria while stabilizing global energy markets will bring Russia and the Arab Gulf countries closer in the months and years ahead. Giorgio Cafiero (@GiorgioCafiero) is the CEO of Gulf State Analytics (@GulfStateAnalyt), a Washington, DC-based geopolitical risk consultancy. Colby Connelly is an M.A. candidate in Global Security Studies at Johns Hopkins University in Washington, D.C. He has previously worked as a contractor in Saudi Arabia for several years. The views and opinions expressed in this article are those of the authors and do not necessarily reflect the views of Gulf International Forum.